A funny thing happened when I was supposed to be addressing Christmas cards. 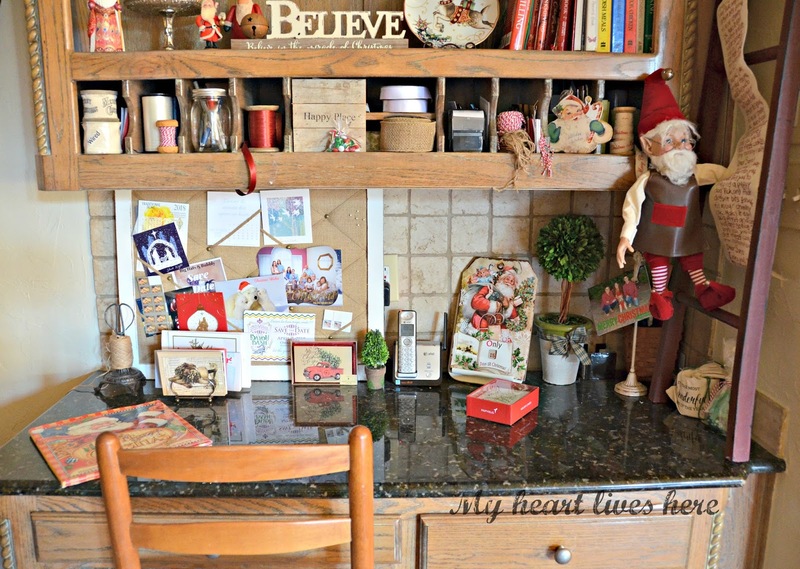 It started with the built in desk in the kitchen and my collection of Santas. A couple of new plates from Williams-Sonoma filled in some gaps. 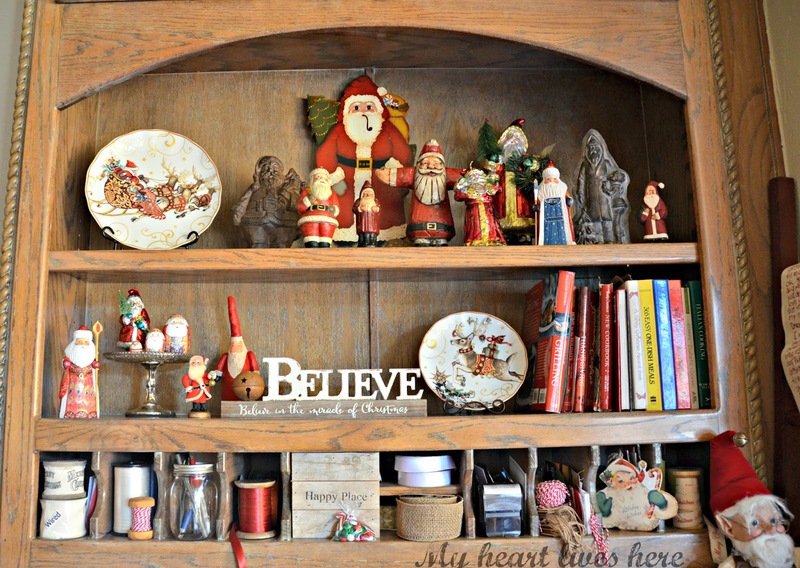 The mischievous elf on a ladder, that went on the fireplace in previous years, found a new Christmas home. 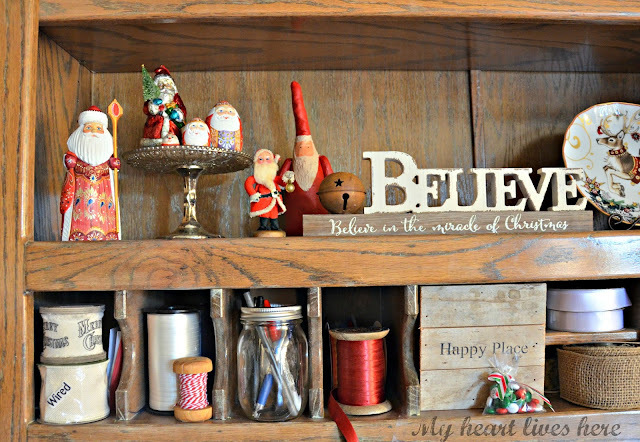 Spools of ribbon,, a jar of pens, and Christmas cards took their places. Now I have the inspiring spot. No more excuses. Wait, is that someone at the front door? Merry Christmas! Inspired! Your Christmas card station is full of Christmas cheer. I'll come visit to take your mind off those cards! But I might not leave, it's so charming and cozy! What an absolutely charming spot! 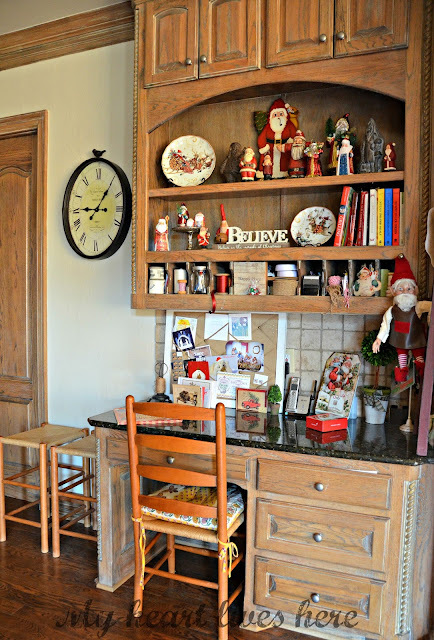 I would be delighted to work on Christmas cards in this very sweet seat!